Read it in full here on the blog as well. Bought all that fancy new gear but having trouble putting it together? Blinding yourself with the strobe instead of illuminating fish? It’s time to seek professional guidance to further your photography habit. Workshops often occur in places with fantastic photo ops. Here I break down 4 popular options to better understand the “pros and cons” of each in order to invest your time and money wisely. As the world of digital photography exploded in recent years, PADI didn’t sit on its heels to watch it go by. A brand new Digital Photography course is available, designed specifically with new photographers in mind. The course follows a simple yet effective mantra of “Shoot, Examine, and Adjust”, a perfect match for the instant feedback available from digital cameras. The thoughtfully designed workbook guides the photographer through basics such as composition, adjusting camera settings, and computer work. Coupled with an experienced photographer/instructor, this course is a great way for the new photographer to get comfortable with their camera. One major benefit of the class is the chance to have a lot of underwater time with an instructor on hand helping to set up shots and guiding you though proper adjustments. 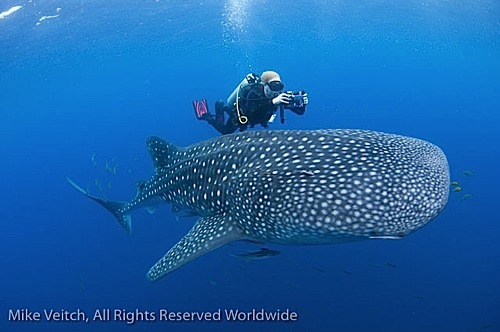 As an added bonus, the PADI Digital Photography course can be taken just about anywhere! 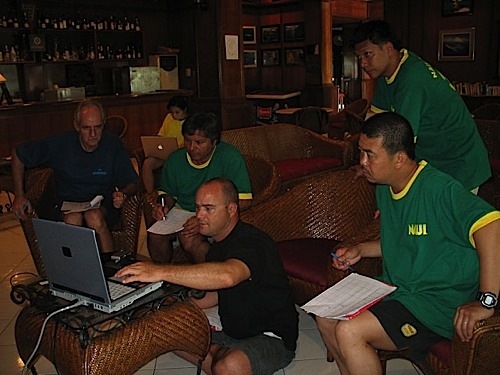 Most PADI dive centers around the world will have a photo instructor on hand who will be only too happy to help you get started. 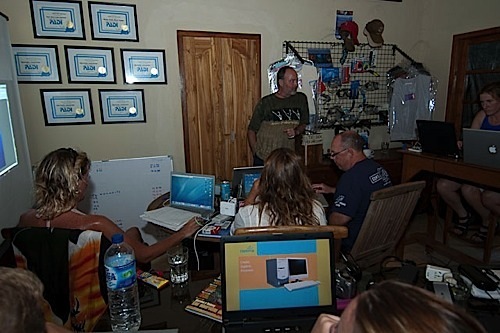 Tim Rock instructs a class about the finer points of underwater photography. Not too thrilled with the idea of jumping into your local pool or quarry in the middle of winter to learn photography? No problem! Throughout the year many of the world’s top underwater photographers offer “on location” workshops. Not only will you get the chance to learn from full-time photographers, you get to dive in the top destinations in the world! Workshops are a great way to take your photography to the next level as you have the chance to learn from folks who actually do it for a living. Basic and advanced workshops can be found and cater to the needs of novice and experienced photographers. Basic workshops start from the beginning and explain everything a new photographer needs to know to get them shooting top quality photographs in no time. With a weeklong course, there is plenty of time to absorb the information and put it to good use while churning out a stunning portfolio of images. Advanced workshops are geared to those who have the basics down but want to learn tricks of the trade and further their personal skills. Workshops typically consist of diving in the morning with group lectures in the afternoon and the evening reserved for critiquing sessions and entertaining multi media presentations. 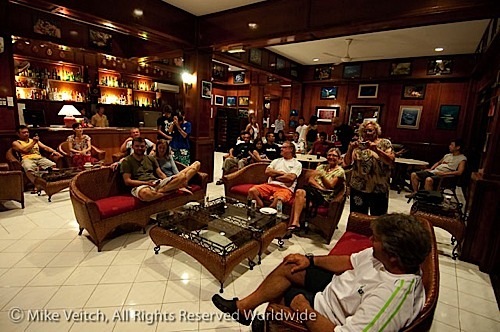 You will also enjoy diving and socializing with a group of like-minded individuals who want to discuss photography and learn at the same time. Watching the improvement of your fellow students throughout the week is almost as satisfying as seeing the benefits of “putting theory to use” on your own photos. The social aspect of workshops and photo shootouts ensures a good time for all! Workshop judges hard at work discussing the winning photos. Shootouts have a lot of sponsors and offer some very enticing prize packages. One on one instruction maximizes the learning curve for the student. With their “workplace” as the ocean, many of the world’s best underwater photographers live in amazing seaside locations. Oftentimes, these photographers are available for “one on one” photography courses. What better way to master the art of photography than to spend a few days with a personal mentor? The advantages of an individual class are many: tailored to meet your needs no matter your experience, no “slow” students to slow down the class, the opportunity to spend as much or as little time on particular subjects as you want…the list goes on and on. Even better, the pro is with you every step of the way watching your composition and offering critiques based on shots he/she watched you take. The learning curve of a “one to one” class is much faster as the instructor does not have to split his/her time among a group of students, it’s just you! This option may cost more money than others, but if your goal is improving your photography to its utmost, then this is the option for you. Living in the Indo Pacific area is special in many ways, one of which is the abundance of good diving. And with great diving come a lot of top-notch local photographers; so get out there and take advantage of one! Workshops, classes, and shootouts are on offer all over the region. Plan your calendar accordingly and sign up for one now, not only will you reach your goal of improving your photography, you may even win a new camera! About the author: Originally from Vancouver, B.C., Canada, Wetpixel moderator Mike Veitch is a professional underwater photographer and trip leader. After spending many years working on boats and resorts in the Indo-Pacific region, Mike has settled in Indonesia where he spends his time photographing the worlds richest marine bio-system and conducting photography workshops and leading trips throughout the country. For more information please visit his website. 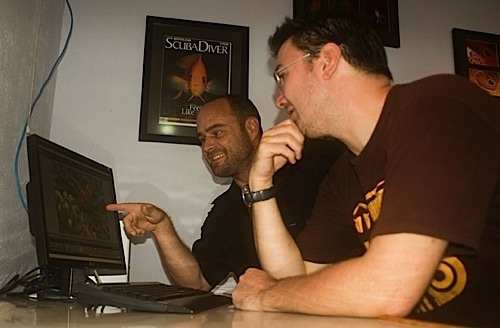 Mike is a frequent contributor and field editor to Scuba Diver Australasia magazine where he wrote the “how to” underwater photography column, “In Focus” from 2006-2009. This series is a collection of his “In Focus” articles that originally appeared in the magazine during that time, the format and photos have been updated for Wetpixel.